For any e-commerce company, product descriptions demand care and attention. Your products should be an extension of your brand, and should fit neatly into the jigsaw of the overall brand story you’re trying to tell. But, even if your company specialises solely in selling products via the internet, product descriptions are not the only content that you should be creating in order to communicate your brand story and make those sales. One brand that appears to understand this is Yoox, the Italian-owned online fashion, art and design retailer. 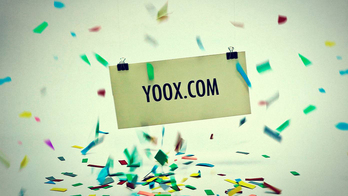 Take a look at Yoox’s product descriptions and you won’t see much in the way of verbiage. In fact most description of the product is done very briefly, with single words. For example, their description for a ‘Emilio Pucci short dress’ simply reads, “Composition: 93% silk, 7% Elastane. Details: Satin, designer’s motif, classic neckline, long sleeves, belt, no pockets, front closure, button closing, side slit hemline, stretch.” This is accompanied by the price, colour and size options, and of course some pictures that clearly display the product. This minimalistic style runs through all of the brand’s product ranges, and is common amongst luxury e-commerce retailers. They know that their customers have already got a good idea of the quality and status of the clothing brands their selling, so they instead focus on communicating pertinent details succinctly. They also assume that the customer is discerning and well-versed in fashion terminology, such as ‘side-slit hemline’, ‘no appliques’ and ‘round toeline’, so no additional information on these is provided. This approach might not work for many other online retailers, but for a brand like Yoox which specialises in selling last season’s luxury items at discounted prices it’s a good fit. But in order to build customer relationships and their brand, Yoox still need to communicate their values and their brand story to visitors. So how and where do they do this? Even these straight forward relatively colourless pages though contribute to Yoox’s brand story. They establish the brand’s online retail services as being reliable, trustworthy and responsible. This then sits alongside their high quality designer goods and discount prices to make it hard for a customer not to make a purchase if they see something they like. This is followed by an invitation to visit the group’s corporate site to find out more. It’s here that the brand’s copywriters have been much busier, with detailed pages explaining the group’s commitment to sustainability, its wider values, and more in-depth explanations of its history. These provide valuable information for those customers that feel they need to know more about the brand, while keeping the main site uncluttered for those who are more easily swayed. Is your brand an online success? Yoox’s online success then can be traced in part to its confident and consistent use of minimalistic product descriptions, coupled with a practical yet robust approach to brand building in other areas of its site. Minimalistic it may be, but the company’s website builds trust and smoothly sets up the key concept behind the brand – last season’s fashions direct from the source, at discounted prices. 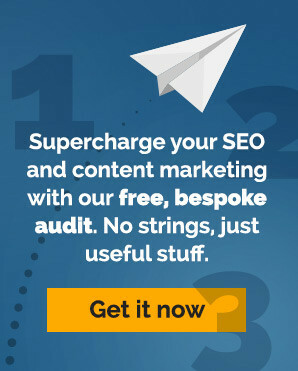 Do you need help communicating your brand story online? Get in touch with Big Star Copywriting for a friendly chat. ← How do two of today’s biggest digital travel booking firms tell their brand story?